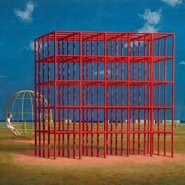 Look closely at selected artworks from the Jeffrey Smart: constructed world exhibition. Share ideas in group discussion and create an artwork inspired by the bright urban scenes of this icon of Australian Art. Part of our regular third Thursday of the month program held throughout the year with a different focus each month. Upcoming dates are 16 May, 20 June, 18 July, 15 August, 19 September, 17 October, 21 November and 19 December.